Every spare moment I have had on the computer lately has been spent creating a new product, "Beginning Rhythm." It's been a lot of fun, but I am so happy to have it completed. I have also really missed blogging, and I look forward to getting into it again. What better way than to host a giveaway? I've always wanted to do one. If you want a chance to win, just leave a comment. That's it! Winner will be announced September 20th. 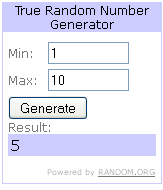 The winner is Number 5. Watch for an e-mail with the download link. I was just talking to my neighbor about these yesterday, she's been trying to figure out how to teach her preschooler about music. This would be perfect! This is really great! I was looking for material to teach music to my daughter. By the way I love your blog. Good Job Tamsyn! What a great way to learn how to read music! As I was watching your video, my daughter walked in and exclaimed, "OH, Music!" She was so excited! Oh, I'd like a free copy!